Crownleaf has a wealth of over twenty five years experience in Finance and Property Investment within Europe. Our Real Estate Office is ideally located in Sabinillas, on the N340 between Estepona and Sotogrande. 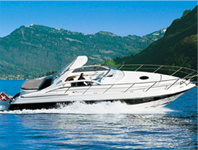 We concentrate on our clients and our own investment interests between Marbella and Sotogrande. Our core focus is service to our clients - supported by local expertise and a full understanding of the market. We believe that each client is unique and therefore will receive an individual, tailored service, when purchasing a new home or property here in the Costa del Sol. If you are looking for somewhere with good rental potential, we will help you to choose a property in a good location which will be attractive to holiday makers and to golfers. If you are looking for a second home your requirements may be very different perhaps schools or location are more important. We are well versed to help you match your wish list. Continual research ensures that we understand where the best developments are today and in the future, knowing which areas have the highest potential capital growth. This means that not only will you find your ideal Spanish property but ensure you get the best return on your investment both short and long term.